Here in central Oklahoma, we are represented at the federal level by Senators James Inhofe and James Lankford and by Representative Frank Lucas. Please don’t be shy to let them know when you’ve got some information you think they should know! At 97 years, the Migratory Bird Treaty Act (MBTA) is among the oldest wildlife protection laws on the books. 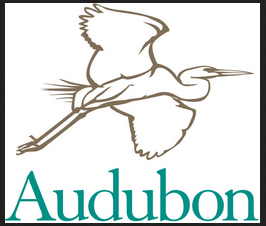 Its creation was one of the National Audubon Society’s first major victories, and in the years since its enactment, the MBTA has saved millions, if not billions, of birds from depredatory human activities. Since its passage, the MBTA has expanded its geographic area (via treaties with Mexico, Japan, and Russia) and the scope of its coverage (adding eagles, corvids, and other birds). In 1962 it was updated to address how Native American tribes can collect feathers from protected birds for religious ceremonies (a practice otherwise banned by the MBTA). For a full history of how the MBTA has evolved over time, see our timeline. What birds has the treaty already helped? The most obvious success story is the Snowy Egret, which was hunted almost to extinction for its delicate feathers before early conservationists like the Audubon Society, along with the federal government, stepped in to stop the slaughter. Since then the act has been expanded to include a wide variety of birds that live in or migrate through the United States, Canada, Mexico, and beyond. Here’s a full list of the species protected under the treaty. Why are we talking about the MBTA now? The almost century-old MBTA tries to keep birds as safe as possible. But many of the probems birds face today—wind turbines, high-tension power lines, communications towers, and the like—are (relatively) new. U.S. Fish and Wildlife wants to strengthen implementation of the law to cover these, and other, hazards to birds. Currently, enforcement of the act is arbitrary and difficult, though companies whose activities pose threats to migratory birds should take action to reduce that risk. A number of companies in the oil and power-line sectors have already developed and implemented best practices to protect birds, some of which are simple and cheap. Learn more about how companies can reduce bird deaths thanks to existing technology. In the coming months, USFWS will work with involved parties to determine the best ways to make the MBTA as strong as possible. How many birds are at risk? According to USFWS estimates, power lines kill up to 175 million birds a year. Communications towers rack up up to 50 million kills, and uncovered oil waste pits account for up to another 500,000 to 1 million. Data on wind turbines are harder to come by, but current estimates hover at about 300,000 bird fatalities a year. Send a letter to U.S. Fish and Wildlife supporting this critical action here.